Since fasting month started I woke up early in the morning and most of the time 4am and unable to sleep. or I will miss my working time ...yeah! another good reason to stay awake although I feel very sleepy. Thanks to internet and WWW!!! I will get boring to death to live without this www thingy. Aiikkkkss!!! the result said mee siput?? 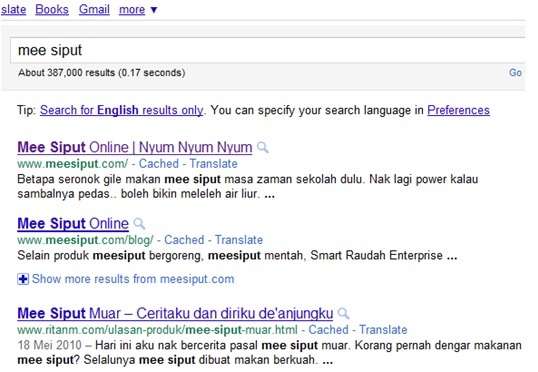 Then I google word ' mee siput'. Yeay! discover this website selling 'mee siput' . 'Mee Siput' a local Southern peninsular malaysia local snack. Since I never taste this before so I order online for 20 packets. Not just for me ok! I distributed it out to my colleague. The delivery was superb. Pack in bubble pack. I love the crunchiness of this snack plus the sweet chilli sauce come together with the snack. You have to eat it with the sauce. I like it!!!! thumb up! 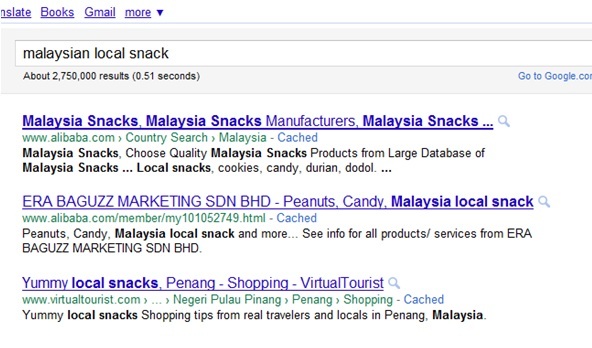 You want to taste Malaysia Local snack??? This is not advertorial and I don't earn commission from any pack sold by that mee siput website owner. 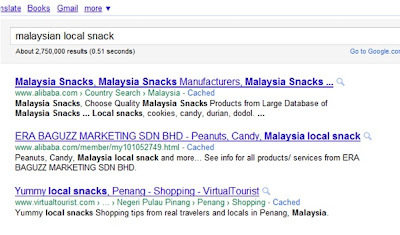 I am doing this write up for good cause to do free promotion for Malaysian local enterprise. For mee siput site owner, if you suddenly receive too many order and some from other countries (my blog stalker come from all over the world hahaha) please send 10 packs of mee siput to me for my good WOM to mee siput muar. If you want to try mee siput muar just email to the owner. She will reply to you very prompt and yummy mee siput will be at your door step within 2 working days.